Iltarusko is once again proud to present a new release - Entranced! Iltarusko is a Siberian psychedelic blues rock one-man band founded in 2014. Everything is composed and performed by Stanislav ‘Brudywr’ Ambartsumov. Hails , Miguel Freitas here from Requiem Laus band!! The SG Records family is very pleased to welcome the famous Italian metal band Centvrion, on its roster. The new album, "V", will be published on October. Be prepared! Centvrion born in 1992 surrounding Monti brothers and the singer Quintabà. Only in 1998 the band signs the first discographic deal and one year later record the album "Arise Of The Empire", Roman Empire themes will characterize henceforward the band's lyrics and iconography. In 2000 Centvrion "Hyper Martyrium" leads the band to a more thrash oriented sound and the band play live with Judas Priest on the Gods of Metal 2001 stage. In 2002 the band releases "Non Plvs Ultra", that features the Centvrion best known song "Panzer March". The band get a good notoriety, so that the following tour is very intense and culminates playing on the Agglutination Festival. After "Invulnerable" starts a 10-years wait. Centvrion are now ready to present to all metalheads their granitic sound in 12 new songs. “Heavy Thoughts” is the second album by the Thrash Metal band from Spoleto (PG - Italy) and it's on sale today! It's also available on all digital stores since March 11. Adamas project starts in April 2007 from an idea of Luigi Castellani (vocals) after a meeting with his brother Eugenio Castellani (drummer). After a first album in 2010 "Evil All Its" and a line up change (Alessandro Manini and Federico Fondacci joins the band as bass player and guitarist) Adamas start to write the new album. In late 2014 the band enter the studio to record. "Heavy Thoughts" was mixed and produced by Mauro "Ulag" Mancinelli at DPF Studio and is a more direct album than the debut one. The band sound is now harder tends to a more defined and personal identity. Everything is underlined by the rude and restless artwork (designed by Master Ambrosiano) and the photos by Eleonora Proietti Photographer. The album release will be anticipated by the videoclip of the single, directed by the Swiss Lorenz Cuno Klopfenstein and with Monia Bartolini as the protagonist.The song features the extraordinary participation of one of the historical metal world voices: Blaze Bayley, Iron Maiden singer from 1994 to 1999. Other collaborations on the album: Christian Bartolacci and Marco Vitali (Ibridoma) and the Sicilian poet Angelo Grasso. One goal of this work is the involvement of many different figures, close to the Adamas family, in order to create a network of expertise behind the creation and promotion of the album. Confess are back! And they do it as they used: with two new old-style Hard Rock songs and their modern attitude! After the last autumn Italian tour, where they promoted the album Jail, Confess entered again the studio to record two new songs and prepare you to a hot summer of live shows throughout Europe. Exit Light will be available for download on all digital stores from February 25 and in presales from February 18.
and on December the 15th of 2014 in a 7" Vinyl limited edition. Recordings and mixing took place at The Music House Studio studio, Athens, during the spring of 2014. Mastered at Golden Mastering studio, California USA, by Jj Golden Mastering. Guest appearance on guitars by Stathis Pavlantis (REFLECTION) on "King of Terrors". Complete artwork by Giannis Nakos (Remedy Art Design). created by Manthos Stergiou (Manster Design). 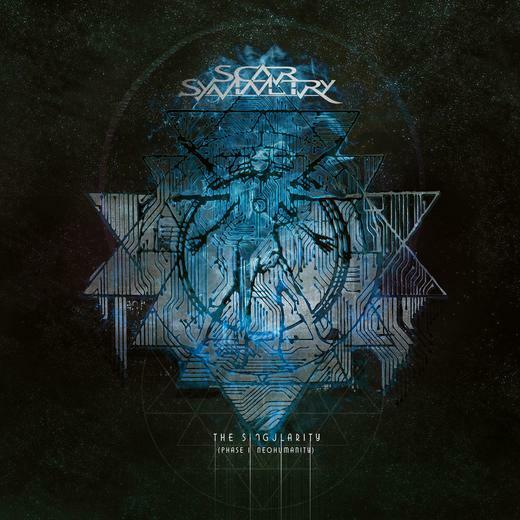 Swedish melodic death metal band Scar Symmetry is set to release a new album and successor to 2011’s "The Unseen Empire" this Fall. The new album is titled "The Singularity (Phase I – Neohumanity)" and will be out on October 3rd (EU), October 6th (UK & France), and October 14th (US) 2014 via Nuclear Blast. This will be just the first part of a concept album trilogy. "FINALLY the first installment of The Singularity will see the light of day - writing and recording this album took much longer than I had anticipated, but I'm pretty sure you'll find it to be well worth the wait as in my opinion, this album contains some of Scar Symmetry's most epic moments ever!" 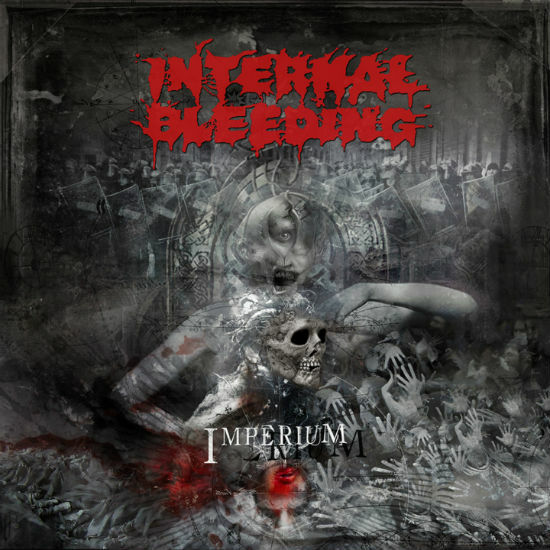 The New York death metal band Internal Bleeding will release their new studio album, "Imperium," on September 30th via Unique Leader Records. "To add insult to injury, our first two albums suffered from horrendous productions which no doubt made it more challenging to get people to truly understand our music. And by the time our third and fourth albums were released, we had no label or tour support and limited resources to keep things going. By the early-to-mid 2000s, we were a broken and dispirited unit and eventually fell into inactivity and disarray. "Eventually our term - slam - had been picked up by hundreds of underground bands and a whole new genre of death metal was spawned. The seeds we had planted had finally come to bloom yet we were unable to enjoy even a modicum of recognition for it. It had been an extremely frustrating twenty years. We gave it our best, but in the end, we fell short of our goals. "These experiences, plus other personal setbacks and tragedies, are the impetus behind the album title Imperium. It means a dominion of absolute power. It's a statement to those who've caused anyone to feel slighted, disrespected, tormented and generally abused. It's a clarion call to the victims of these tormentors - the abused child, the bands that struggle and come up short, the outcast, the geek and the populations that have been crushed under the boot of totalitarianism - to rise up, join us and take a rightful place at the throne of power. With Imperium, the time has finally come to turn the tables on the tormentors and make them suffer. "The artwork is also deeply meaningful. We wanted to create an atmosphere that was dark and threatening and were really impressed by the work of Mircea Gabriel Eftemie. He nailed it almost immediately. At the center of the cover is a half-human/half-alien creature holding a withered skull. This creature represents the new master that has risen to power. It is half alien because as our fans know, we have carried on a tradition of using alien themes on our albums since day one. It also represents those who are outcast and treated as an alien to their own race. This alien is holding the skull of his past tormentor, which represents the change in power and the rise of the new Imperium. There are a lot of interesting things that go on in the background, which we'd rather leave open to interpretation. And then there's the music..."
The East Siberian black metal act Brudywr has recently released the next full length album ‘Dusk’. To mark the vicious gloom of dark winter nights, to hail the wicked winds, to rejoice at the decease of Light. The album as usual contains more than 40 minutes of new stuff. Everyone can follow the links and check out the stuff. The second album by Lost Reflection will be published again by SG Records. Scarecrowd follows Florida, was recorded at Outer Sound Studios, on of the better studios in the Italian metal scene (Necrodeath, Kaledon, DGM, Stormlord, Novembre). The album will be out on May 16, 2014. Ibridoma publish a video to announce the new album release, titled "Goodbye Nation". The new features as guests at vocals Fabio Lione, Ralf Scheepers and Paolo Ojetti. Goodbye Nation is a 9 tracks album for nearly 40 minutes of pure heavy metal. The album was recorded in Italy at DPF Studio and Yellow Sheep Studio but mixed and mastered in Ukraine at Morton Studio by Max "Morton" Pasichnyk. Cover art was designed by Gustavo Sazes (Abstrata). "Blind Gods And Revolutions" is out today. It's the new album by Essenza, an “heavy-rock” trio born in 1993. The album’s sound is dynamic and well supported by the Paolo Colazzo’s powerful and fanciful drumming. It revolves around the Carlo’s guitar, a varied and powerful riffing. The Alessandro’s bass isn’t relegated to the simple rhythm section but assumes a foreground role, building a wall of unusual twists in support of the groove and melody. "Blind Gods And Revolution", the new album by Essenza is available today in digital download. The album will be available on sale on April 11. Jail, the long awaited album by the Swedish band Confess, is out today April 4, 2014. The band's frontman John Elliot commented: "After a hard work," Jail "is finally ready. 13 tracks of hard, pounding, hard rock that should not miss in the discography in everyone records collection." "Jail", old-style Hard Rock by the Swedish band Confess, is available today in digital download. The album will be available on sale on April 4. "Vidia" by Hate Tyler is out today. Vidia is the Hate Tyler return after the album "The Great Architect" published in 2012. This new full-lenght proof of their new modern improved sound, great mix of metalcore, djent & modern prog metal. Modern metal that cleverly mixes severe riffs, electronics, melodies, abrasive and singable vocals. An excellent combination of European and North American sound, interpreted with a well recognizable personality! Produced by Marco Pastorino, mixed and mastered by Simone Mularoni ( Dgm ) and features Francesco Artusato (All Shall Perish ). The new Hate Tyler album, Vidia, will be out on March 28, but will be available in all digital stores from March 26. The single "Lifenymph" will be available in digital stores from March 5. Vidia is the synthesis of the Hate Tyler personality, that come out of the box with a modern metal that cleverly mixes severe riffs, electronics, melodies, abrasive and singable vocals. An excellent combination of European and North American sound.